ATM machines, debit cards, and credit cards have become deeply embedded into the day-to-day lives and transactional expectations of consumers. 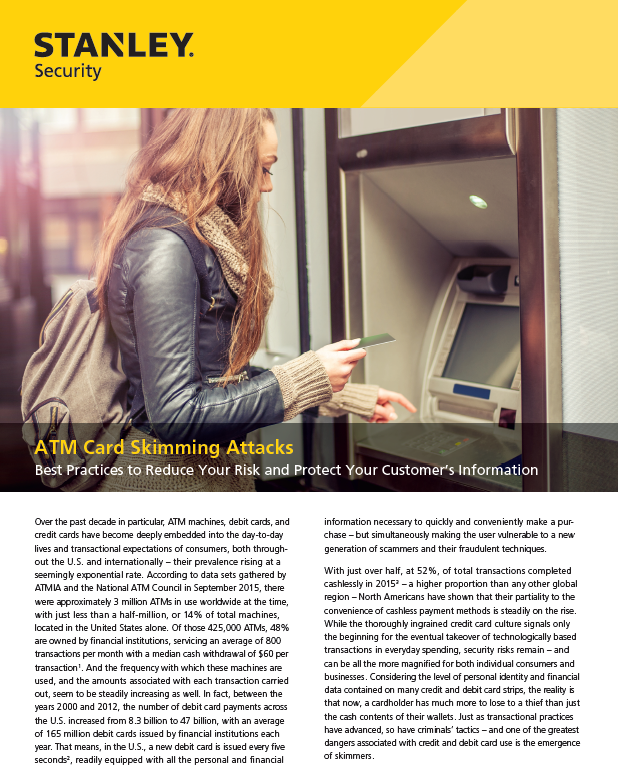 With the increase in card skimming attacks in recent years, financial institutions are scrambling to find ways to alert, identify and prevent skimming attempts to protect their assets, their brands’ reputation and their customers’ financial data. In this white paper you’ll learn foundational tactics for bolstering fraud detection and prevention programs.